Daniel Kimani did not think much about farming when he was growing up. But he has become a national figure since he started fish farming. Mr. Kimani has been featured on Kenyan radio and television. The 29-year-old from Kenya’s Nyandurua County, about 150 kilometres northwest of Nairobi, graduated from university with a diploma in engineering. Frustrated with the lack of available jobs, he started raising fish after hearing on the radio how agriculture could transform his life. 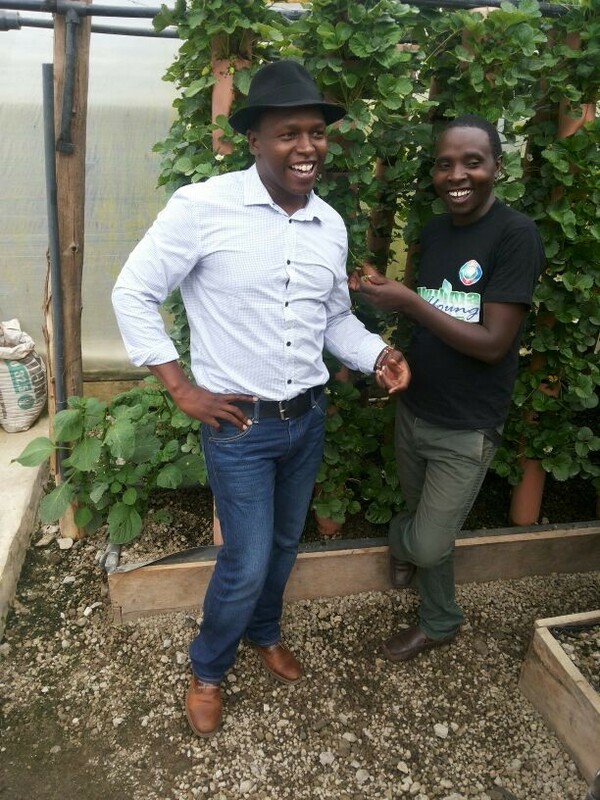 Mr. Kimani says, “My dream is to become the best young farmer in Africa and be recognized as such by the [United Nations] Food and Agriculture Organization.” He is already being hailed as a Mkulima Young [Young Farmer] Champion. Mkulima Young was founded in January 2013 as a community-based Facebook page. It has grown into a social media platform which engages Kenyan youth in agriculture via the internet and radio. More than 26,000 people have liked its Facebook page, and it recently added Twitter and YouTube to its social media arsenal as it reaches out to rural and urban youth in Kenya. Samson Ndung’u lives in Murang’a, a town about 60 kilometres northeast of Nairobi. The twenty-three-year old was known for ferrying passengers on the back of his boda-boda, or motorcycle taxi. While driving a regular client home last year, he tuned his bike’s radio to Coro FM. The station was airing a farming program which mentioned Mkulima Young. Mr. Ndung’u was intrigued. He recognized a great opportunity when he heard one. So he decided to start a business growing crops in his family’s garden. He harvests vegetables such as peppers, tomatoes, spinach and cucumber, which he sells through Mkulima Young’s market page. He, too, has been awarded the status of Mkulima Young Champion. Joseph Macharia is the founder of Mkulima Young. 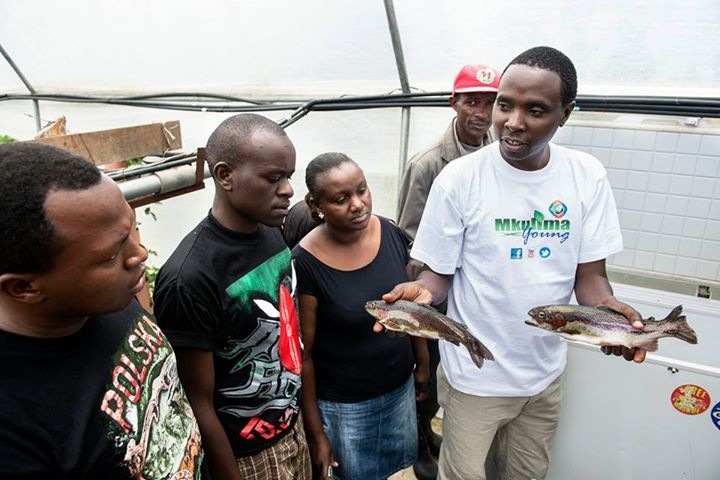 The 37-year-old describes Mkulima Young Champions as young people who are not only successful in agriculture, but are inspiring others to do the same. Mr. Macharia uses social media to rebrand farming to thousands of Kenyan youth. Mkulima Young has created a virtual marketplace called Mkulima Soko [farmer’s market] where farmers can sell their crops online. Mr. Macharia says, “The culture is changing. You’d be surprised at how many rural youth are on social media.” Through the Mkulima Soko site, young farmers have made 3,000 online sales. Over 10,000 new users have registered for the site. Mr. Kimani’s farming techniques are inspiring. The waste from his fish ponds is filtered through stone-filled settlement chambers. Then it is used as fertilizer for his strawberry plants, which he irrigates with the filtered water. Reblogged this on Passion Palace….